The company is named amidst the chief Manufacturers, Exporters, and Suppliers of premium Embroidered Fabric in Gujarat, India. The Embroidered Fabric, we offer, is embellished with intricate embroidery done by the experienced artisans only. 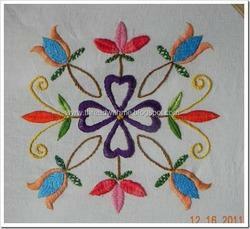 Our Embroidered Fabric can be availed in various colors, designs, and patterns. 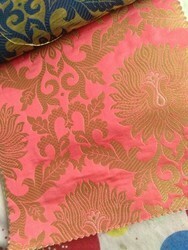 We have supply capability of chikan fabrics by yards which can be used for curtain making and other requirement.